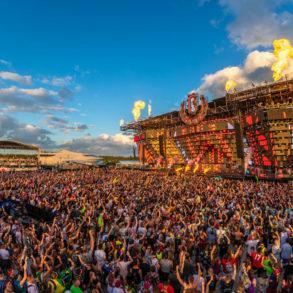 From the Mainstage, all the way to RESISTANCE, this photos virtual tour will show you Ultra 2019 and its stages. 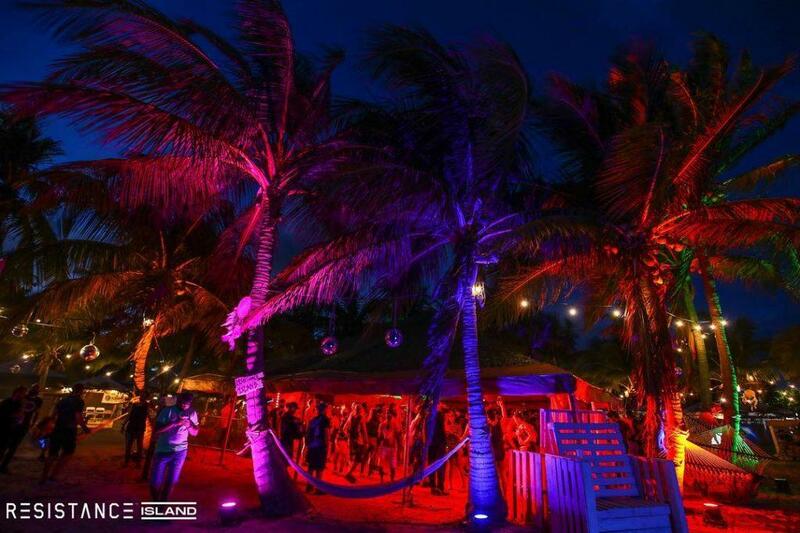 This year Ultra Miami location was the beautiful Virginia Key Island. 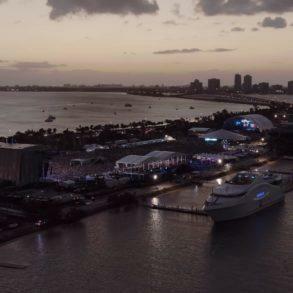 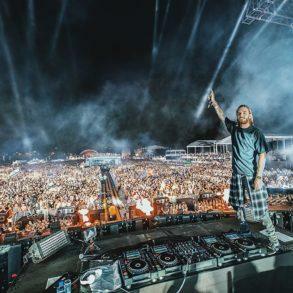 The festival was spread between the Miami Marine Stadium, where the Mainstage, Live Arena, Worldwide Stage, and UMF Radio Stage were located and the RESISTANCE Island with its Megastructure, Reflector Stage, Arrivals Stage, and the ECO Village. 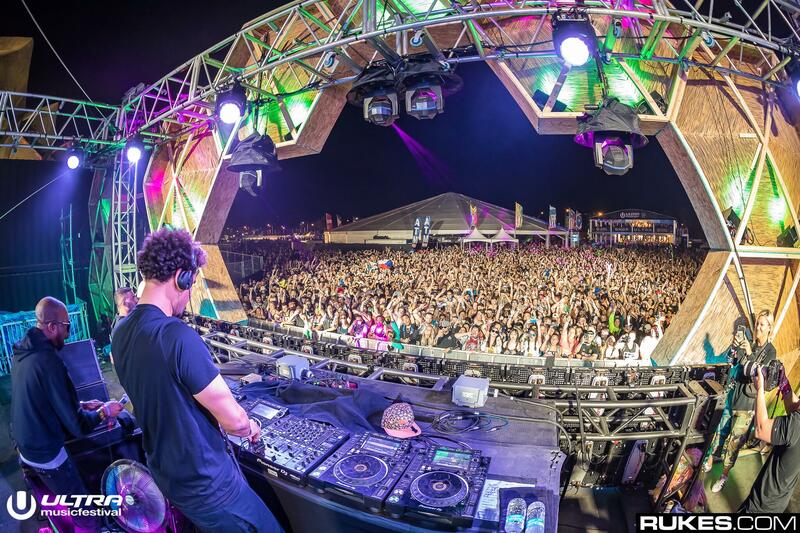 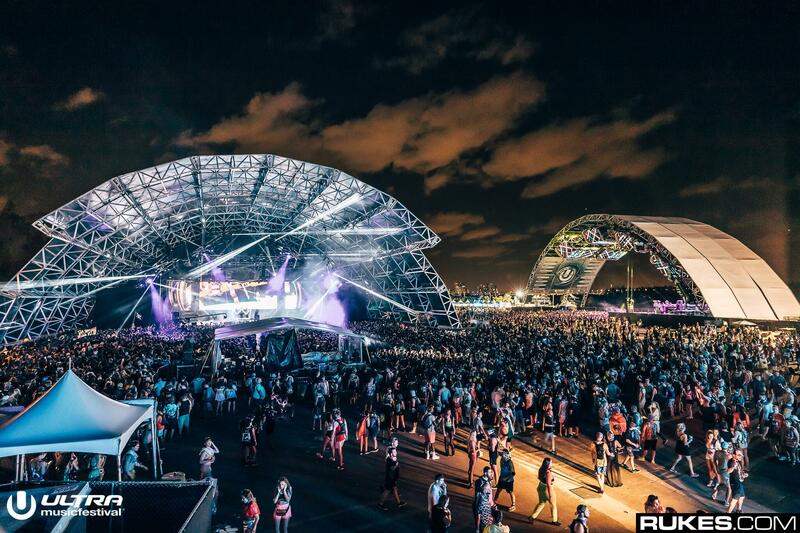 Thanks to the bigger location, this year mainstage is a little bit wider than last year. 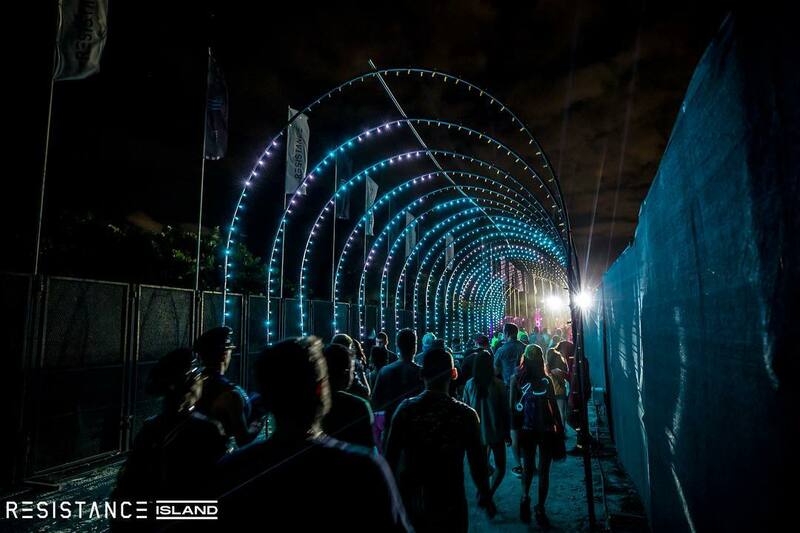 As always, Ultra has bet everything on the led walls; positioned in a zigzag pattern, the led walls enclose the DJ boot in like a cave. 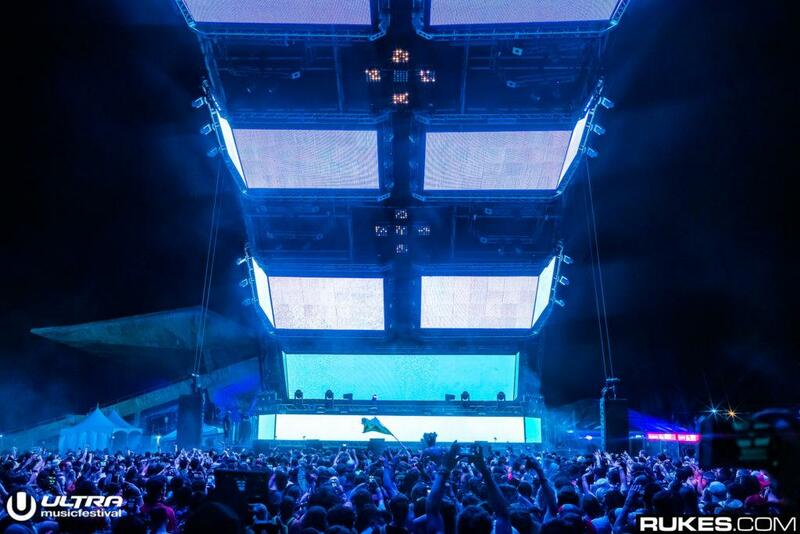 Behind it, another huge led wall in the shape of an inverted triangle. 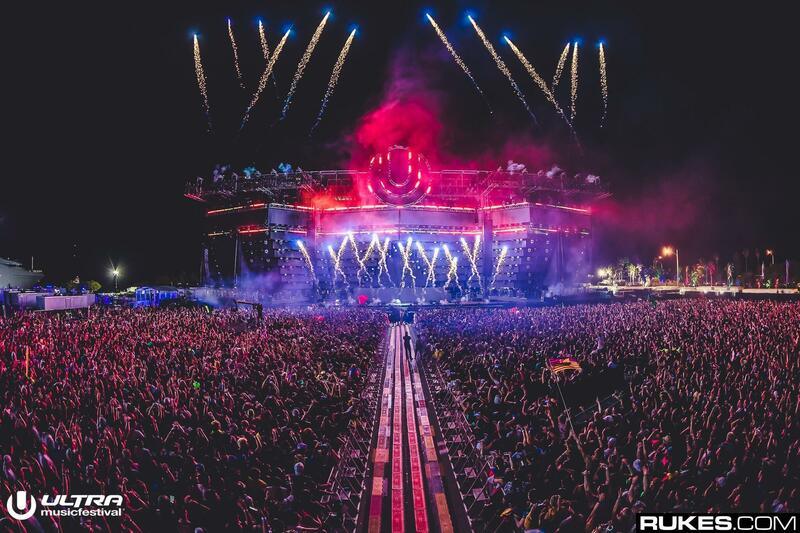 This year Ultra has decided to give that extra depth to the mainstage, surrounding the DJ with led walls; with panels parallel to the public, even standing on the sides of the crowd gave a unique visual sensation. 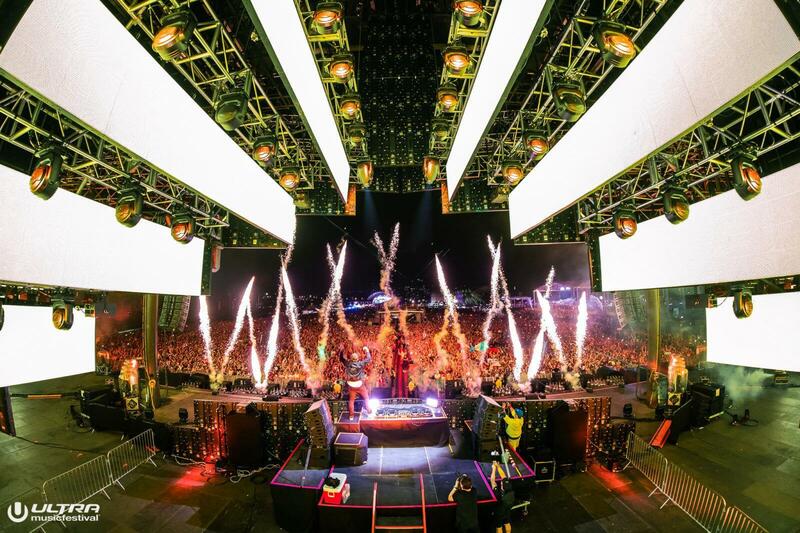 Even with its relatively small capacity, the LIVE Arena has changed shape over the days, perfectly adapting to the artists’ performances. With its curved 3-panel ledwall and the similar half-dome shape, the LIVE Arena hosted a lot of custom made shows as the Cube 3.0 by Deadmau5. 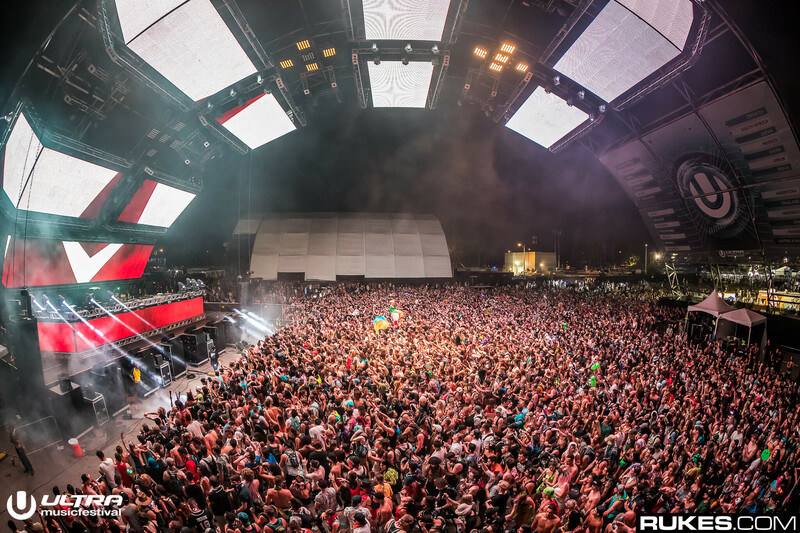 Probably bigger than the Live Arena, the worldwide stage features the iconic U mashed shape with led walls placed over the heads of the crowd. 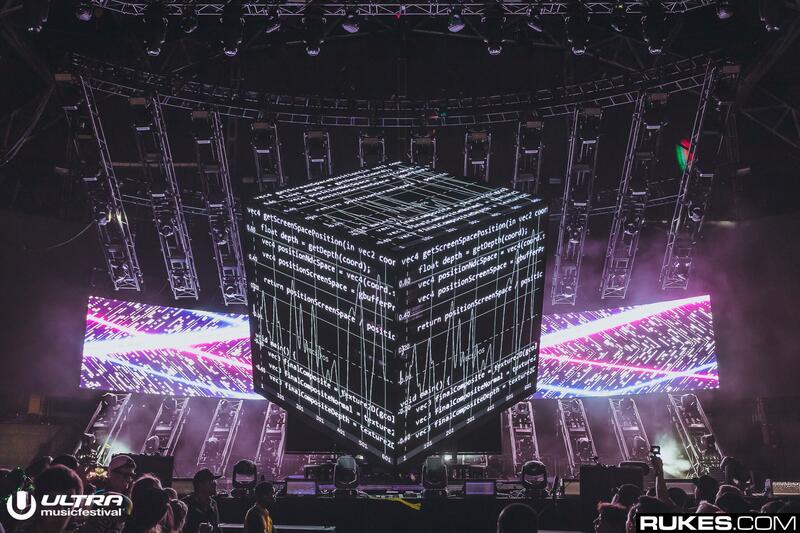 This year Worldwide stage featured a more 3D concept, with led walls bent on the sides creating more depth and a very symmetrical feel. 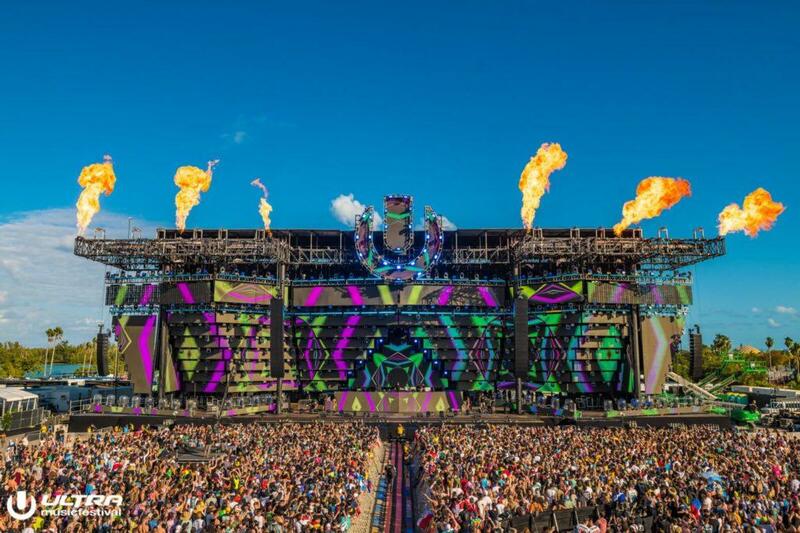 Not as big as the above mentioned but with great potential as well, UMF Radio stage featured a wood geometrical installment on the front integrated with two big led walls. The heart of the RESISTANCE Island is for sure Carl Cox Megastructure. 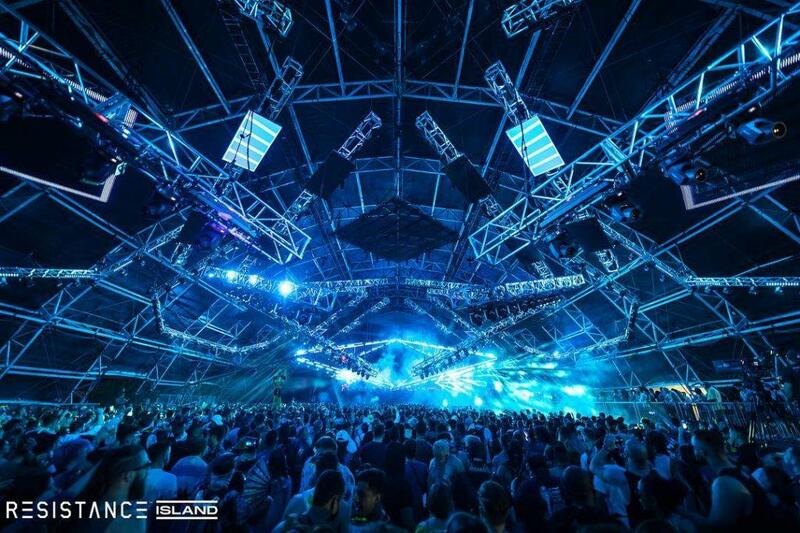 this year, in the most remote corner of the festival, the megastructure was the ultimate destination for the underground music lovers. 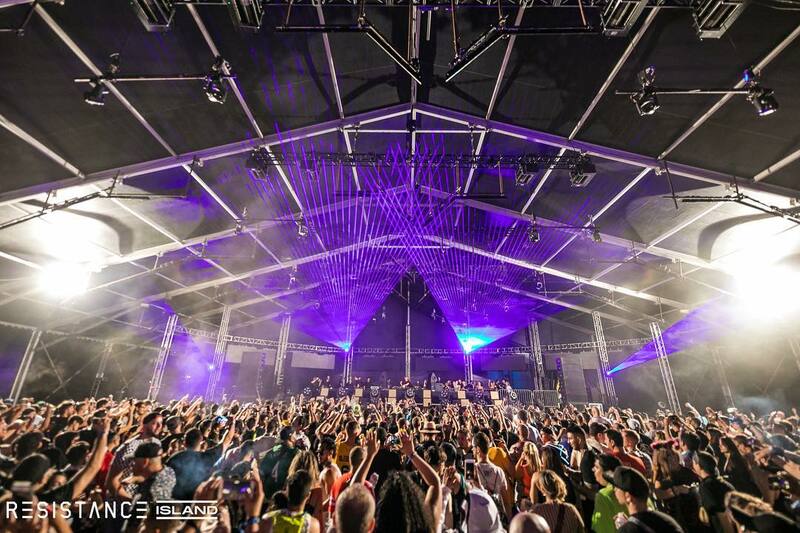 With its pair of four X-shape structure filled by led walls and light beans, the megastructure featured a giant rhombus shape led wall. 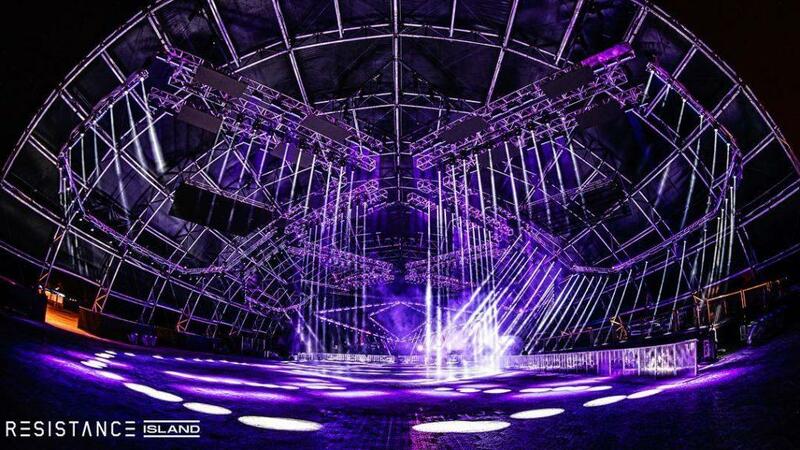 The whole megastructure was surrounded by light beams and moving section, creating an impressive tridimensional effect. 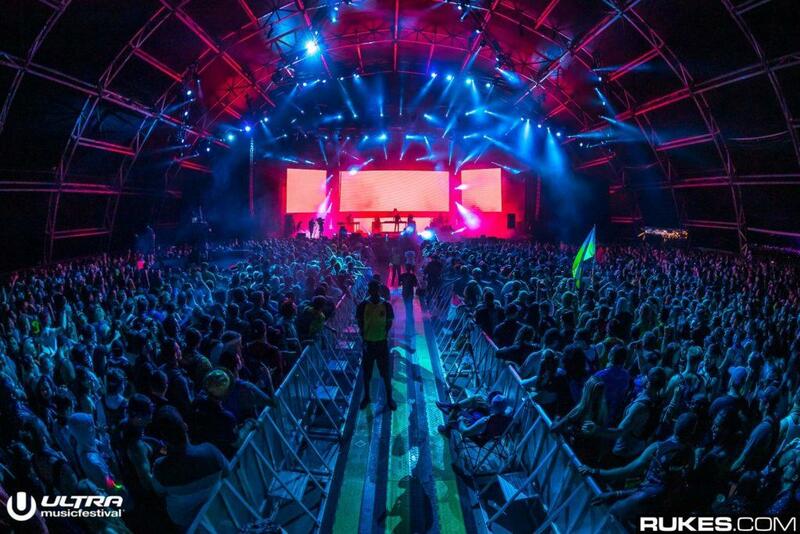 With its perfect symmetry (from this the name) the reflector stage features a more flat design. 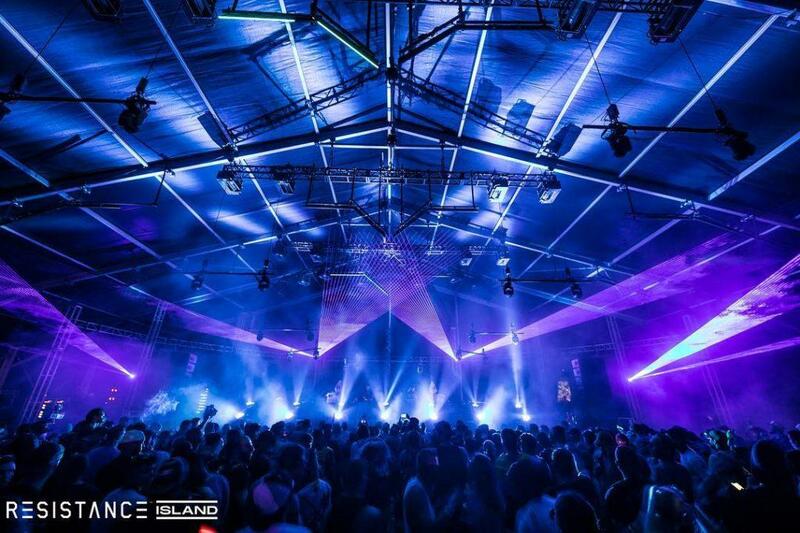 A series of 8 led walls, behind the DJ booth, were reinforced with a great number of light beam and lasers, creating a great impact from the crowd. The Reflector ceiling was covered by neon-tube and, once again, light beams, creating a sort of vertebral column of the stage. 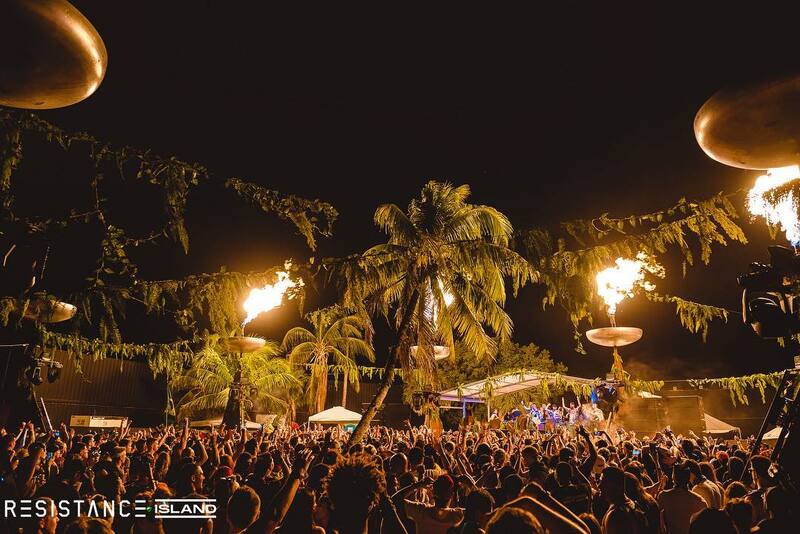 All the way from The Burning Man, the Arrival stage features a big palm surrounded by 8 towers creating an octagonal shape. 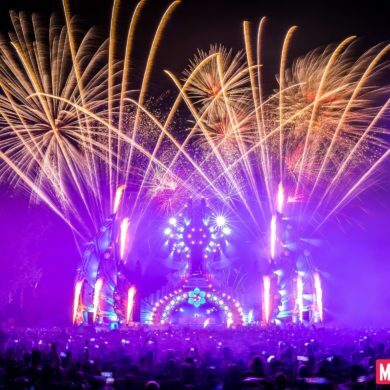 Every tower is equipped with a flamethrower, creating crazy special effects, especially by night. on top of the stage, a full array of lasers complete this amazing stage. 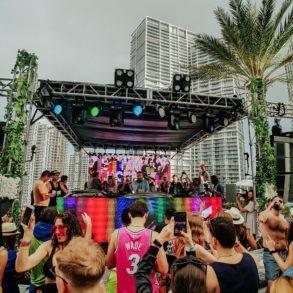 Even if the Arrival stage was one of the smallest of the whole Ultra Miami festival, it was for sure one of the craziest one; being in the exact middle of the dance floor, surrounded by these tropical vibes, gives you a different mood on enjoying the performances. RESISTANCE Island wasn’t only parting day and night. 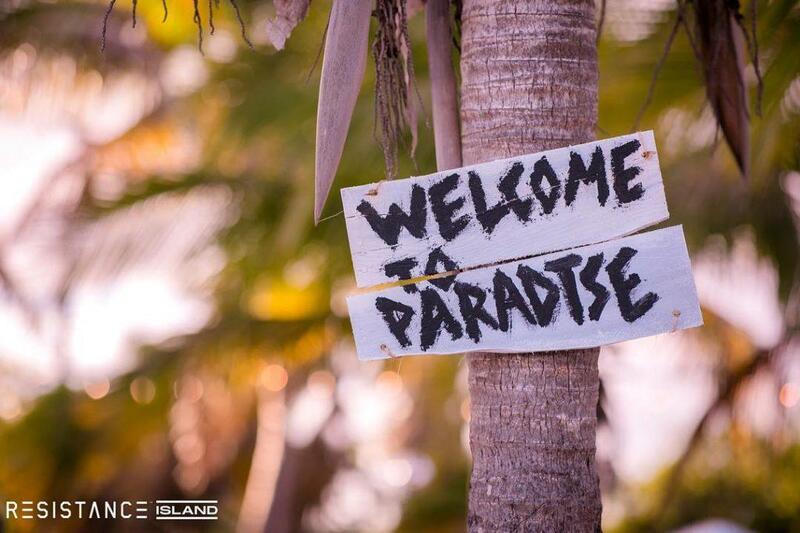 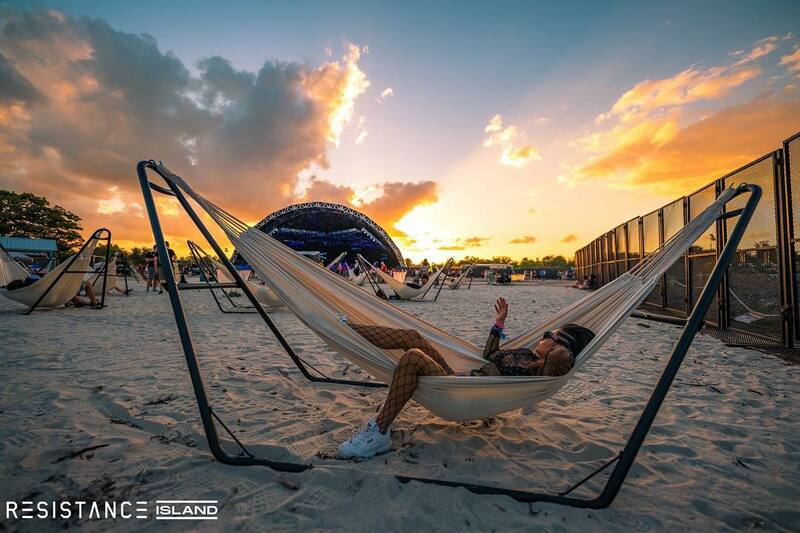 With its ECO Village, hammock, meadow and art installations, the Island was also the perfect area to chill out and recharge your energy for the next DJ. 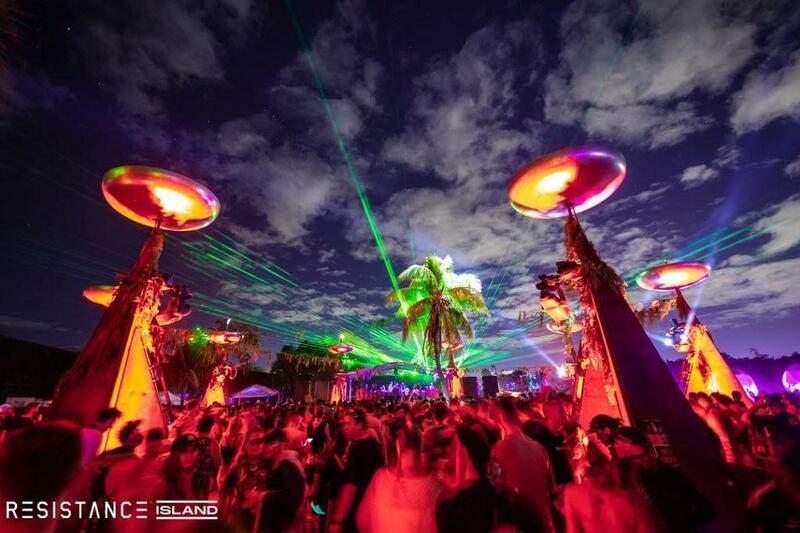 Sitting on the freshly cut grass listening to the Reflector stage or simply relax on a hammock while watching the incredible lights effect of the megastructure, the whole RESISTANCE Island experience was simply something else.